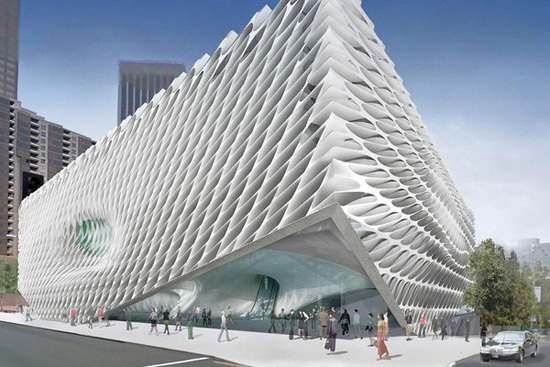 The plan for the Broad we saw today keeps in line with some of DSR’s past work, but also represents a intriguing departure in another sense – we’ll elaborate below. Click through for more on what is set to be one of the major architectural works of the next few years. Who is Eli Broad? He’s a Detroit-born Philanthropist who founded SunAmerica (now a subsidiary of AIG). Though an adamant supporter of his hometown, Broad is now a fixture in L.A.’s cultural landscape, both as a major supporter and collector of the arts, and as an advocate for the city itself. Rumors have flown for several years about the fate of Broad’s extensive personal art collection, which he had spoken of donating to a cadre of museums after his death. 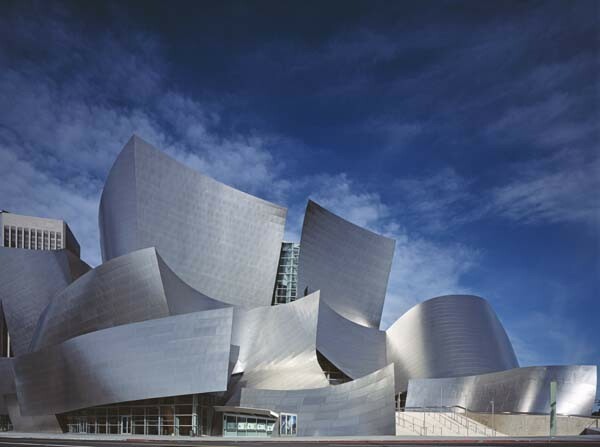 But last year, Broad announced he would build a stand-alone museum dedicated to his collection, and eventually chose New York firm Diller Scofidio + Renfro to design the space – which will sit next to Frank Gehry’s Disney Concert Hall. LA Times’ architecture critic Christopher Hawthorne diplomatically concludes that DSR’s original scheme has been dampened since we last saw it presented, writing that this newest iteration of plans for the Broad coveys “…a sense of a restless creative imagination muted, held back and otherwise reined in. There are few signs in the scheme of the firm’s hyperactive, hyper-analytical approach to architecture and its playful willingness to race back and forth across disciplinary boundaries.” So, what’s been left out since we last checked in with the Broad? Diller Scofidio + Renfro‘s original scheme for the Museum was characteristically full of spatial tropes intended to activate public space – for example, a lobby that would have created a visual confrontation between visitors arriving by car and those on foot. Fans of DSR will recognize that paradigm as a repeating theme in their ouvre, seen both in the Boston ICA and especially at the High Line. Also rumored to have been cut from the firm’s original scheme are the series of digital billboards plugged into the facade as an externalized gallery. The architects are calling the scheme “the veil and the vault,” referring to the load-bearing facade and the interior floor plates that define the programmatic distribution. The entrances to the Museum are defined at each corner by the “veil” lifting up, creating small moments of interface between street and interior at the threshold of the building. Structurally speaking, the massive space will be kept nearly column-free through a scheme that externalizes the structure in a load-bearing brise-soleil facade system. 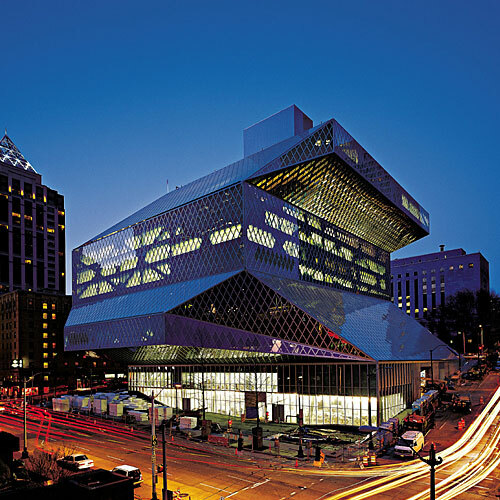 The plan is reminiscent of several projects upon first glance, the most obvious being OMA’s load-bearing facades in both the Seattle Public Library and CCTV in Beijing. OMA’s CCTV, and its load-bearing facade system, image via. 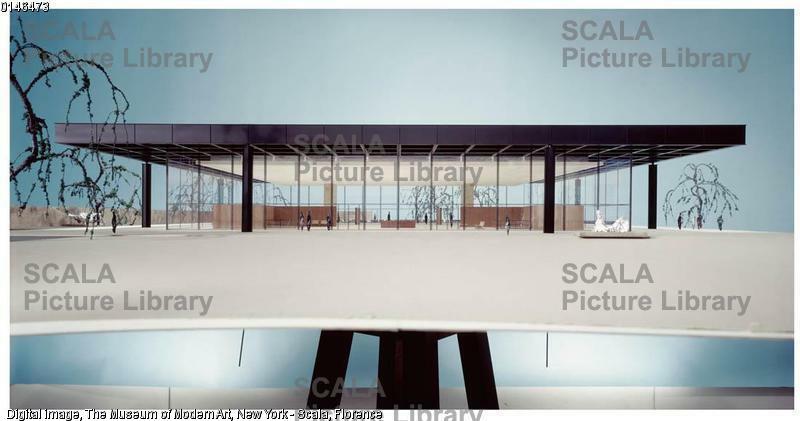 Mies van der Rohe’s scheme for the Georg Schaefer Museum. What do you think? Is there some other comparison you would make, after having seen the renderings? You can read more about today’s press conference here. Architizer is a way for architects to interact, show their work, and find clients. It is an open community created by architects for architects. One architectural project has dozens of contributors, from the intern who made the conceptual models to the construction administrator.